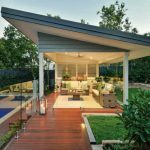 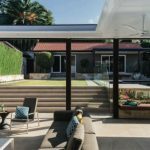 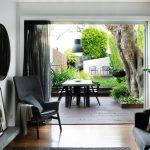 With a mammoth renovation and extension project finally completed, the owners of this modernised home on Sydney’s North Shore were seeking a rear garden design that would have equal impact. 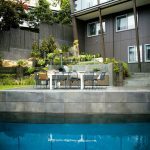 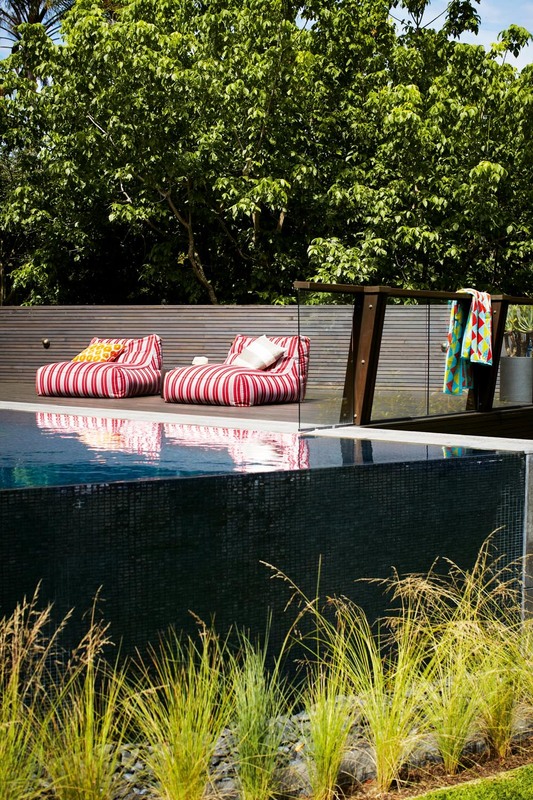 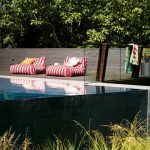 As the home is very contemporary, Josh carried that feel into the garden, but only in select elements: in particular, the strong angular lines of the pool and decking, and the sleek bluestone tiles used for the pool coping and paved areas. 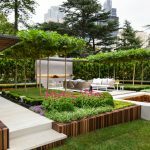 “The planting was kept informal and very soft to contrast the contemporary look of the house and the hard surfaces in the garden,” says Josh. 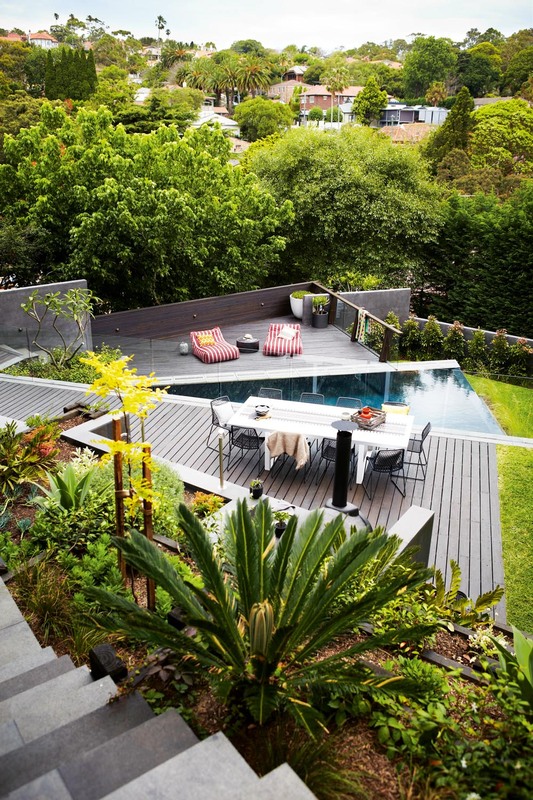 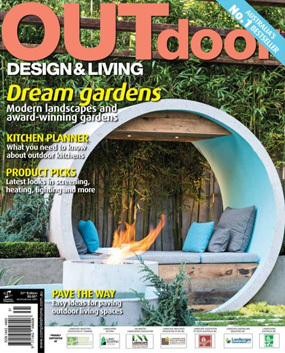 “Because the house is so big and seems to loom over the garden, I designed the backyard to ‘fan out’ from the house. 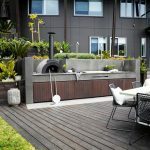 This layout not only creates interest, it slowly breaks down the somewhat hard feel of the house the further you venture out into the garden,” he adds. 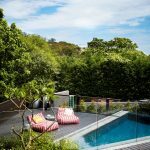 The pool is a key element in the fan shape and its irregularity looks particularly impressive when viewed from the home’s upper-storey balconies. 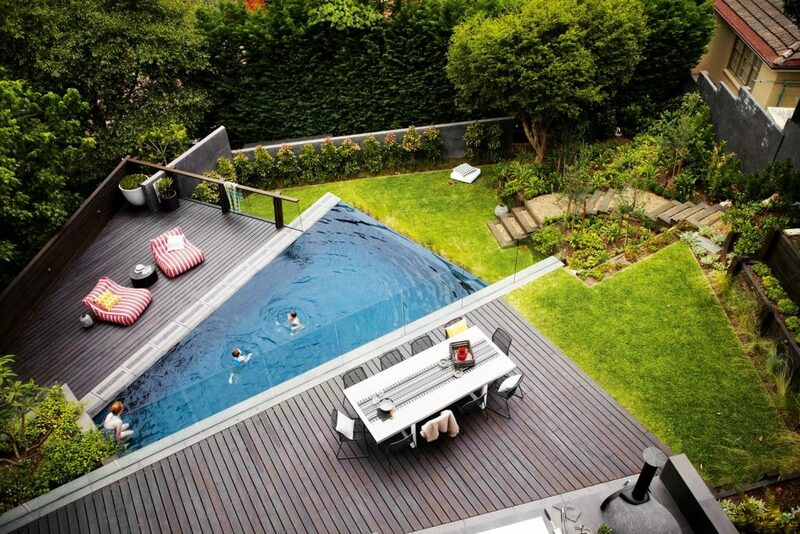 The same applies to the two timber decks. 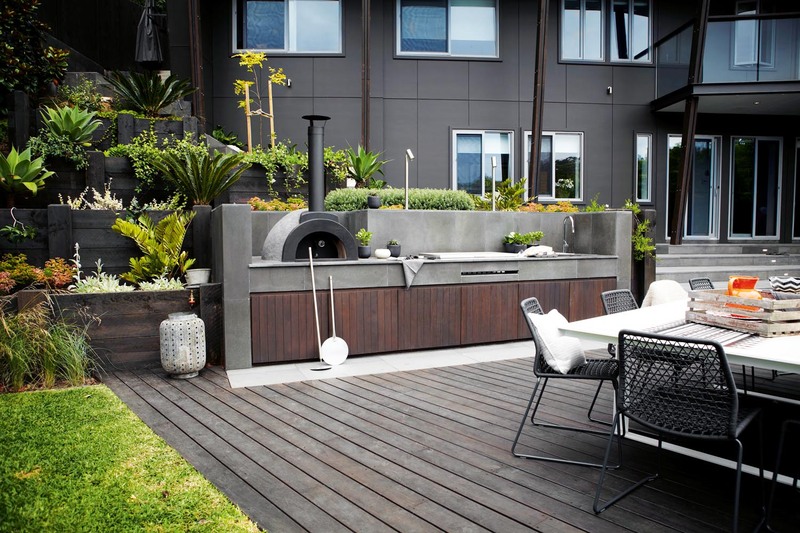 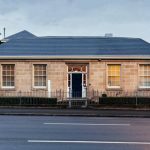 These were built using tallowwood, which was stained a darker colour to reference the exterior colour of the house. 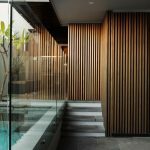 This also marries with the dark-stained cedar screen that was placed along the side of the far deck. 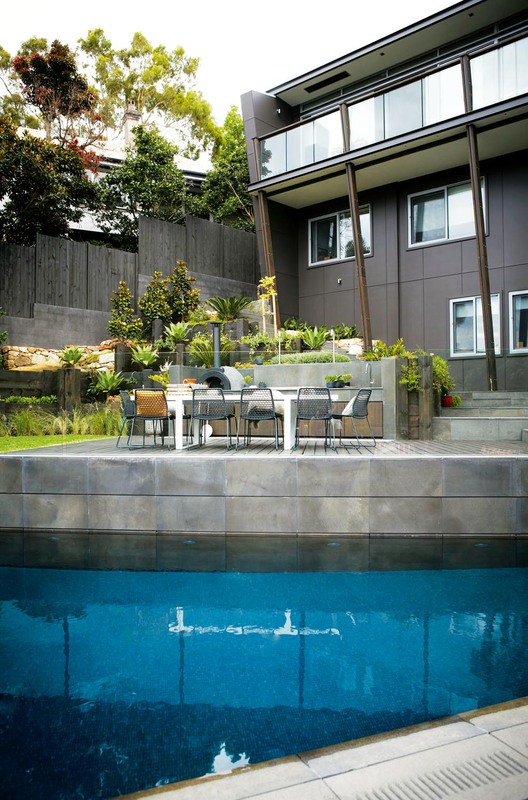 Josh’s planting palette is informal, as can be seen in the well considered mix of hedging and boundary plants. 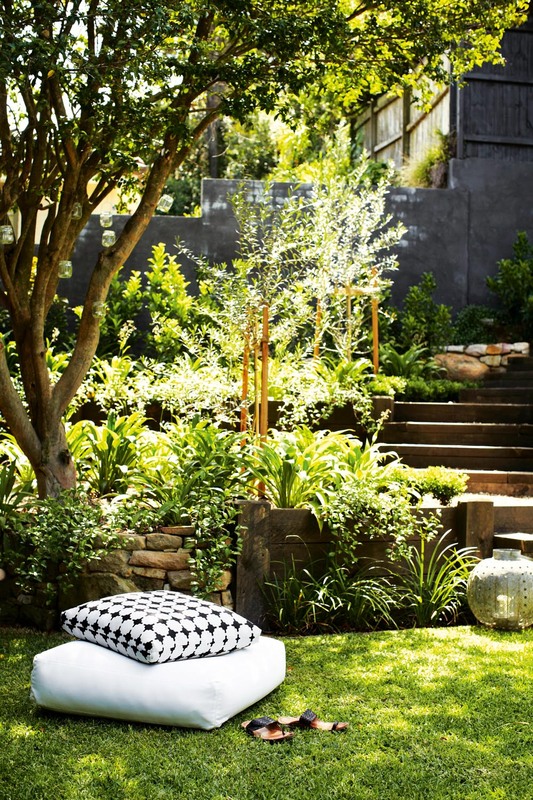 These include viburnum, Camellia sasanqua, Magnolia grandiflora ‘Teddy Bear’ and Eleaocarpus eumundii. 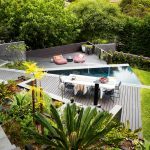 As a feature, a mature frangipani was positioned in a planter box next to the pool and underplanted with star jasmine.